Don’t those nice Allstate hands look so friendly? A snarky email from an Allstate adjuster may cost the company $900,000. Here’s the story. By most anyone’s definition, 66-year-old Carol Haberman’s experience while walking her dog can be a horrible, life-altering one. Newspaper deliveryman James Burke backed out of a driveway at night while making a 3-point turn and ran her over. Realizing something happened, he pulled forward, likely running her over again. The result? A complex left hip fracture requiring a total hip replacement, a lumbar compression fracture and compartment syndrome requiring a fasciotomy of the left leg. What happened in litigation, however, was astounding. You may hear me rant about insurance companies and adjusters sometimes, and now you’ll see another reason why. The difference here is that the adjuster actually put her Kool-Aid inspired thoughts into writing. There were two fundamental issues to deal with: How to apportion fault as between a driver and pedestrian. And how severe the injuries were. This would include, of course, the extent to which she had prior injuries that may have been affected. But any way you sliced it, this was a significant matter to be deftly handled. Practically speaking, both plaintiff and defendant would want to limit their exposure with a jury. This is the type of common sense risk management of which settlements are made. This is also one of the primary reasons that picking stupid personal fights with the other side is detrimental to a client. Because one day you might need to talk turkey over coffee with that other side about how to best serve your client with a negotiated deal. And so it came to pass that, with a $1.25M insurance policy on the line, the parties in Haberman v. Burke thought that they had reached a settlement of sorts. This would have been what we call a high-low agreement that limits the financial exposure of both sides, with the high being $1.1M and the low being $100K. The problem? Plaintiff’s counsel, Paul Edelstein, believed that this established the high and low of damages, and that only the issue of liability would be tried. Given the costs of hauling experts into court, this is an arrangement that can make sense for both sides. But no. Allstate insurance adjuster Andrea Sewsankar thought that both liability and damages would still be tried. And she wanted that despite the fact that her “expert” was the discredited orthopedist Robert Israel. OK. An understandable miscommunication occurred. But one would logically then assume that an effort would be made to hash out a solution, especially since the defendant had a problem with its expert. Whether agreement would have been ultimately reached, who knows, but certainly the efforts would be continued. Right? Dear Reader, would I be writing this if that effort were made? Sewsankar: As we discussed, win or lose, your client is guaranteed a payout of $100,000 in exchange for a cap at 1.1 million. No appeal & your client will be responsible for all liens including and not limited to Medicare. Sewsanker: Oh no, damages trial also. So far, not a problem, right? Just two sides trying to confirm in writing the nature of a deal, and then realizing that they had an unresolved issue. Sewsankar: No problem, I thought you had recognized the awesome skills of my defense counsel & wanted to garner a six figure payout for your client, so I took the opportunity to solidly protect my insured with this cap. Luckily, no payout will be warranted when Ed scores a defendant verdict on liability. I’m betting it’s the “thanks a million” part that really must be hurting Allstate now. Because the liability verdict found 65% in favor of the plaintiff, meaning that Allstate would have been on the hook for only 65% of $1.1M high-low, or $715K. Add that up, and it comes to $2.45M, and 65% of that is $1.6M. And the insurance policy was only $1.25M. Her hubristic and intemperate email will, no doubt, be part of plaintiff’s efforts to collect the excess against Allstate in an action for bad faith. Her snark may cost Allstate about $900K. Either that, or it may bankrupt its insured. 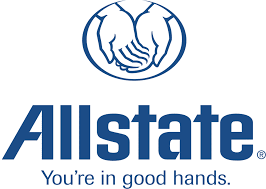 You can almost feel the love from Allstate’s “good hands” logo. Almost. This is an adapted quote form a play called “Amadeus” If you substitute Allstate for Salieri you will understand my feelings about that carrier, although there are lots of fine adjusters and attorneys working for them in New York. Adjuster: Joel, it was good of you to come! Joel: How could I not? Adjuster: How… Did my work please you? Joel: [hesitantly] I never knew that claims adjusting like that was possible! Adjuster: [uncertainly] You flatter me. My question is this: what should the insured do, or have done? My dim understanding of “the way this works” is that your insurance company “handles” it – they provide the lawyers, conduct the negotiations with whoever is suing you, etc. But I’m also given to understand that those lawyers are hired by, and represent the interest of, the insurance company. And that’s all well and good until your interests diverge – such as in the snarky adjuster case. So what should or could the average defendant do? Hire their own council? Watch them battle with the insurance company lawyers? Does that happen? I realize there’s probably no one-size-fits-all answer to this, but I’m curious as to how people play it. I bet the insured never knew. But, when a bad faith letter is sent to the insurance carrier, or put on the record, the insured must be informed. And then the insured should run, not walk, to an attorney that will have his interests foremost in mind, and not those of the carrier, and let him blast away at the insurance company if need be. So your instinct about hiring your own counsel was 100% correct. Because if there is an excess verdict, the insured could lose personal assets. I’m feeling stupid today. Explain how the high-low works with no damages trial. How are the damages determined within the limits of the high-low? Explain how the high-low works with no damages trial. In this case, $1.1M is the high and 100K is the low. A 100% liability verdict against the D would result in the full $1.1M and a complete defense verdict would result in the 100K. In this way the defendant is protected from a full blown trial that could lead to an excess verdict of a few million and plaintiff is protected on the other end, guaranteed to get something. Or at least that is the way it would have worked, had the deal been made. Having the unfortunate experience of having gone through this type of situation I can tell you exactly how the defendant is and should act on his own behalf…1st the Insurance company is obligated to retain counsel for the defendant as per the NYS Ins Law…the attorney is charged with representing the interests of the defendant and the defendant alone…regardless that the Ins Company is paying the tab…most defendants are unaware of this and sit back thinking the Ins Company is protecting them all the while they are protecting their bottom line!!! 2nd and most important…after a defendant executes an affidavit of no excess…he/she can demand the attorney hired to represent him/her settle the case for $1 less than the policy limits to cure any issue of exposure beyond the policy limits. Most attorneys are not aware of this but they have to resolve the matter in good faith for anything less than the policy limits to protect the insured/defendant…should the Ins Company interfere with this…the attorney is then obligated to send a letter to the carrier informing them that their insured/defendant has demanded the matter resolve prior to exhausting the policy limits!!! If the Ins Comp quashes the settlement prior to exhausting the policy limits the carrier is actionable for bad faith and excessive punitive damages!!! Based on the language I’m reading the high-low agreement Edelstein believed he had would only be to determine the liability and that ALL the damages/injuries claimed were to be conceded by the carrier. 100% equals 1.1 million and 0% still garnered 100K for the Plaintiff!! Once he realized the carrier was now controverting the causal relationship of the injuries he smartly walked away. Bravo to him!!! Thanks. I work in a contrib negligence state, so this sort of thing doesn’t apply here. We will sometimes agree on a high-low, typically when liability is conceded, holding a damages trial with limits set.